Carol Craig has done it all—yet in some ways, her story has just begun. 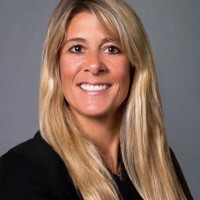 Craig is CEO of Craig Technologies, an engineering, technology and manufacturing business that she founded in 1999 and has built to approximately 430 employees and $40 million in revenues. She is or has been on the boards of at least 27 different community and/or charitable institutions. She chose to relocate and expand her business in the City of Cape Canaveral, partly to tap into the highly talented workforce living on the Space Coast, but also as a means to spur economic development in her community that was so negatively affected by the end of the shuttle program. Craig is also a devoted wife and mom. As a testament to her leadership, business success and service to the community, Craig was named the 2015 SBA’s Small Business Person of the Year for the State of Florida and was a finalist for the SBA’s highly-regarded national Small Business Person of the Year award. She joined five other finalists from across the country in Washington, D.C. for a special ceremony. Initially, Craig Technologies was a high-end engineering and technical services company serving military and commercial customers. Over the past 15 years, as the company’s reputation for delivering high-quality products and exceptional customer service has grown, Craig has reinvested profits that enabled the company to add product lines and divisions – all based on Craig Technologies’ ability to support projects from concept to real-world application with end-users in mind. To help her along, over this period Craig attended seminars, participated in events and received Government Contracting Services offered by the Florida Procurement Technical Assistance Center at the University of Central Florida. It was during this time that Craig Technologies partnered with the Florida SBDC at UCF, supported by Enterprise Florida, to develop an international marketing strategy. Working with Jill McLaughlin, the Florida SBDC at UCF’s International Trade Specialist, the company took advantage of what Craig calls a “great opportunity” to develop an Export Marketing Plan. The plan targeted foreign markets for Craig, recommended market entry strategies and opportunities for identifying trading partners. "I am extremely honored to be recognized as the Florida Small Business Person of the Year, not only personally and for my company, but also because it highlights that Brevard County is significant, we are growing, and we have new and great things going on here."